No matter how complex your home or business project is or what type of budget you have, we work hard to make your switch to solar power as hassle-free and simple as possible. the single most important philosophy behind what we do. If you've spoken with several solar contractors around the Monterey or Santa Cruz county area looking to find the right one to hire for your home or business solar project, you've probably heard the popular idea that "There's never been a better time to go solar than right now." And forgive us for adding to the cacophony all around you, but we definitely agree with that sentiment. Even Consumer Reports has recently chimed in to ring the alarms and tell the world that the time to go solar is now! We do indeed, seem to be at an important crossroads in the industry and with the public. For some time, it's felt as if we have finally hit the tipping point where we've evolved long past solar energy as myth or something that "could be," and we've found ourselves on a speeding train moving towards solar as a reality for the majority. With financing options for almost any budget, solar panel prices dropping sharply and regularly, states and cities across the U.S. pledging to go 100% renewable as well as the tax incentives currently still available, the reasons to wait are fairly weak and getting weaker all the time. Our #1 priority at Scudder Solar is helping customers make the switch to solar energy as smooth and simple as we possibly can. We've been building a brighter, cleaner future for the Central Coast since 2007, and we have no intention of slowing down. Solar power for all isn't a dream anylonger; it's happening right now, right in front of all of our eyes, one solar panel at a time. can help make your transition to solar power a simple, hassle-free experience. We take care of everything and we are by your side every step of the way -- from your initial, on-site estimate and solar consultation, all the way to the ongoing monitoring, cleaning and maintenance of your solar electric system for the next 25-30 years. We are your local solar partners for the entire lifespan of your installation, and we will always be here when you need us. We also provide additional services including residential and business solar energy storage solutions like Powerwall and Powerpack from Tesla, as well as EV vehicle charging station design and installation. As one of the leading solar contractors in Northern California and the #1 SunPower installer in Monterey county, we specialize in custom, turnkey solar design, renewable energy equipment procurement, affordable solar power purchase and leasing options, installation, monitoring and system maintenance for all solar project types and scopes. Above all, we have assembled an incredibly experienced and skilled in-house team of local solar design professionals, engineers and electricians who are simply passionate about solar PV, and love to help homeowners and businesses discover the savings and benefits of renewable energy. Are you certain that you really know? With our 35 year-old sister company Scudder Roofing, you can rest assured that we have decades of construction experience in the local area on properties and projects just like yours. We are one of very few local solar integrators licensed for both electrical and roofing work which gives us a distinct advantage when it comes to the design, engineering and installation of your solar electric system. It also gives us the ability to provide you with a seamless switch to solar, a watertight application and thorough protection for the integrity of your roof and all of your warranties. We are fully licensed, bonded and insured, we maintain worker's compensation and liability insurance to protect the people we work for, and the people we work with. We work very closely with our solar customers to find the right fit financially -- from easy low interest or PACE (property assessed clean energy) loans, to certain zero money down, zero out-of-pocket programs and even leases. We want you to feel at peace and comfortable with your decision to go solar, and saving you money (sometimes even from day one!) is the name of our game at Scudder Solar. We are well known for offering our local, surrounding communities cost-effective residential and commercial solar financing solutions for almost any budget. We know your property is unique. Our reputation on the Central Coast continues to grow, and we'd like to think that one of the many reasons behind our success in this tough, competitive industry is the simple philosophy that we do not believe in cookie cutter system design, or any kind of impersonal, from afar, computerized solar panel quotes or estimates. We are a face-to-face firm, and we work individually with each of our clients for as long as it takes to determine the very best fit -- from what makes the most sense for your home or business financially, to what solar system manufacturer and components will best suit your site location and your specific property. When you work with Scudder Solar Energy Systems, you are truly receiving a custom solar solution tailored specifically for YOU and no one else. We do everything in our power to see that you will get the most value for your project dollar out of the investment you're making with Scudder Solar. Our team is always here -- ready, willing and able to answer any question you may have, during any part of the process. In fact, we don't believe there are any silly or stupid questions about going solar, or what solar can do for your home or business. Educating our customers and answering their questions on the amazing environmental and financial benefits of solar power is one of the things we enjoy most about what we do! We understand that going solar can be a challenge. With so many decisions to be made, and so much paperwork and red tape to often get through, going green is a big decision and can even become daunting at times. But our team wants your solar journey to be an easy one if you hire us... That's why we wholeheartedly believe that letting our customers know exactly what's going to happen (from start-to-finish), is the surest possible way to make them comfortable. And we have been rewarded for that kind of customer care time and time again, as the majority of our business comes from referrals and great word of mouth. At Scudder Solar, we love our customers as much as they love working with us! We'll say it again: we don't do short-term relationships or fly-by-nights with our customers, and we don't believe in platitudes of any kind. 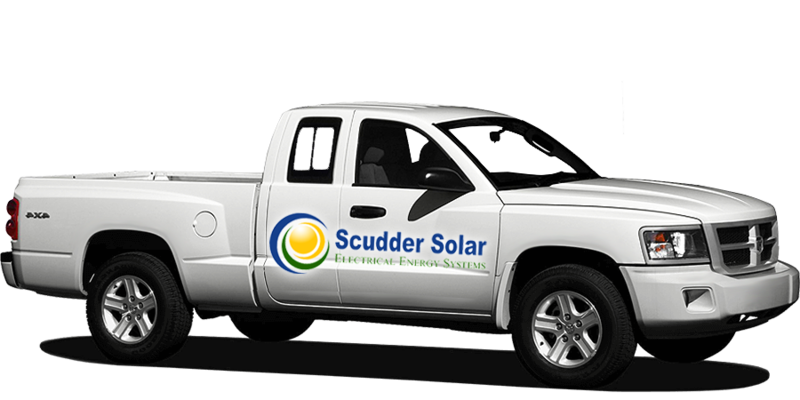 When you hire Scudder Solar, we tell it to you straight, and we're here for the long haul. If solar is right for you, we really couldn't be happier; but if it's not the right fit, or your site isn't eligible due to location or shading issues, etc., we won't be selling you a system just to make a sale. That's not what we're about, and it never really has been. Customers are the very cornerstone of our solar company, and our relationship with you will not end the day we flip the switch and turn your system on if we become your contractor of choice. We are your solar partners for life, and that means for the next couple of decades at least! If we do say so ourselves, the quality of our solar design and installation work is second only to our outstanding level of customer service. We guarantee you 100% customer satisfaction on every project we work on, and we strive to make our customers as happy as possible. In fact, we won't stop until you are 100% satisfied with our work. We absolutely stand behind every system we build, and everything that we promise you with no excuses, ever.  Because we work with and have very close relationships with some of the leading solar manufacturers and suppliers in the United States, we can offer you industry-leading solar warranties and guarantees for your installation and our work, and you can be assured that becoming a Scudder Solar customer means you are backed by the absolute best! Our electrical design team has years of combined experience and training when it comes to solar pv work, array wiring and code compliance. Our installations are wired by professional, fully-licensed electricians who put your safety as the priority above all else. A team you just can't beat. The Scudder Solar team is simply unparalleled in the local area, and we are very proud of the grade A reputation we've garnered since being founded in 2007. From our design consultants and engineers, to architects and electricians, we have some of the best and brightest in the solar industry today. From helping customers choose the most appropriate system and filling out paperwork, or researching financing, to designing and engineering a custom, turnkey solar solution to fit your specific needs and site location, there's nothing our team members won't do to bring you the best quality work and highest level of customer satisfaction possible. It's just what we do. We also handle everything under the sun for your project and do our very best to make the entire process as easy and hassle-free for you as possible. We truly do understand that you have a large variety of solar installers to choose from when you make the decision to switch, and we take your trust in our company seriously. We are dedicated to making your transition to solar rewarding, economical and yes, we'll say it again, as simple as possible. So go ahead, schedule your free on-site solar evaluation today, and see just how much you can save by switching to solar with Scudder!